The main research area of the group is systemic treatment of metastasized cancer using therapeutic radionuclides. To optimize dose delivery to tumor cells, radionuclides are conjugated to tracer molecules, e.g. antibodies or antibody fragments, targeting cancer-specific epitopes. Preclinical evaluation of treatment combinations and strategies aim to improve treatment efficacy. 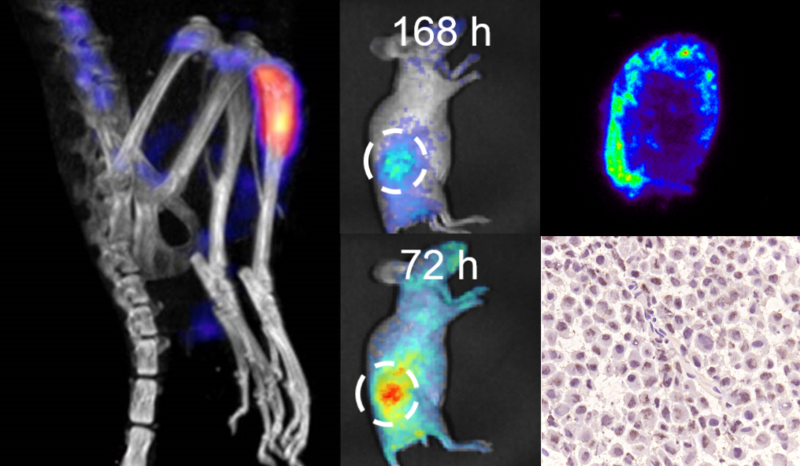 Multimodality imaging such as SPECT/PET/CT, and Cerenkov and Bioluminescence Imaging are also employed to evaluate tracer biokinetics, biological effects and properties such as tumor uptake and penetration. Improving micro- and macro-scale dosimetry models and apply them using input from e.g. imaging modalities is another key aim. The group combines basic research with translational efforts, aiming to implement novel radionuclide therapies in the clinic. The current focus is on prostate cancer radioimmunotherapy targeting human kallikrein-related peptidase 2 (hK2), following promising preclinical results. Thorek, D. L. J., Anson T. Ku, Mitsiades, N., Veach, D., Watson, P. A., Metha, D., Sven Erik Strand, Sharma, S. K., Lewis, J. S., Abou, D. S., Hans G. Lilja, Larson, S. M., McDevitt, M. R. & David Ulmert, 2019, In : Clinical Cancer Research. 25, 2, p. 881-891 11 p.
McDevitt, M. R., Thorek, D. L. J., Hashimoto, T., Gondo, T., Veach, D. R., Sharma, S. K., Kalidindi, T. M., Abou, D. S., Watson, P. A., Beattie, B. J., Oskar Vilhemsson Timmermand, Sven Erik Strand, Lewis, J. S., Scardino, P. T., Scher, H. I., Hans Lilja, Larson, S. M. & David Ulmert, 2018 Dec 1, In : Nature Communications. 9, 1, 1629. Renata Madru, Budassi, M., Benveniste, H., Lee, H., Smith, S. D., Schlyer, D. J., Vaska, P., Linda Knutsson & Sven-Erik Strand, 2018 Aug, In : Cancer Biotherapy & Radiopharmaceuticals. 33, 6, p. 213-220 8 p.